National wildlife refuges are areas set aside to conserve the nation’s last wild areas and the majestic wildlife that inhabits them. For the men and women of the U.S. Fish and Wildlife Service (USFWS), it’s a never-ending challenge to protect the beautiful lands, natural resources, and amazing creatures across the country. Animal Planet audiences will get an intimate glimpse into two of Alaska’s national wildlife refuges and the brave and humble service members who take on the enormous task of keeping the balance between man and these spectacular natural resources. Get ready for this cinematically stunning new series that spotlights the wonder and beauty of these regions like you’ve never seen before, and lets you walk in the shoes of the people who go to great lengths to keep Alaska in its beautiful, natural state, and most importantly – wild. Into Alaska introduces Animal Planet audiences to the rangers, biologists, and interns of the Kenai National Wildlife Refuge and the Kodiak National Wildlife Refuge; two of Alaska’s most well-known wildlife refuges located in the southcentral region of the massive state. 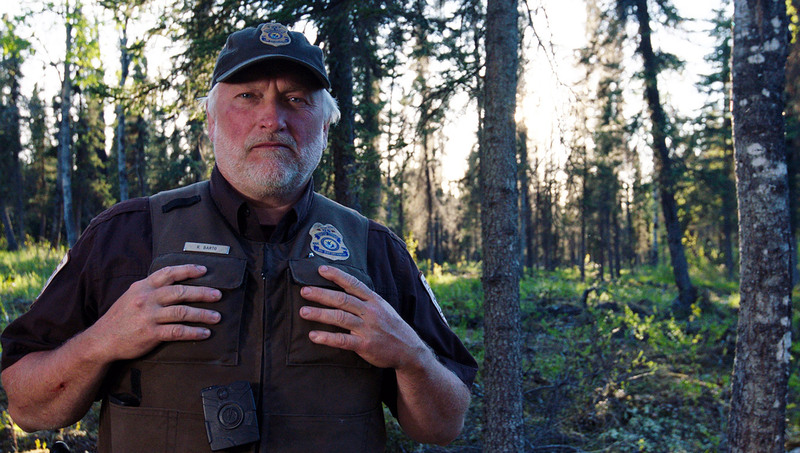 In the premiere episode, audiences travel to Kenai to meet USFWS Supervisory Law Enforcement Officer, Chris Johnson, who is called to catch and rescue a bald eagle injured in a territorial fight with another eagle, leaving it unable to fly and care for itself. Chris must call upon his network of resources to get the eagle rehabilitated and released back into the wild. Biologist, Dom Watts, who is training to be a pilot in order to conduct aerial wildlife surveys for mammal population management in the Kenai Refuge, will be introduced as viewers sit in on his latest inflight stage-check – engine failure simulation at 5,000 feet in the air. Audiences will then journey to Kodiak to meet bear biologist, Bill Leacock, who studies the population and habitat use of the Kodiak bear – the largest of all the brown bears. We’ll tag along with Bill and his intern, Dustin Rose, as they head up to a refuge research outpost in the heart of bear country, where they’ll be studying bears in their natural habitat. Throughout the season the team explores the beautiful, diverse landscape; from rivers and forests, to glaciers and mountains; and interact with the unique to spectacular wildlife that can only be found in this region of the country, including black and brown bears, wolves, caribou, ptarmigan, and even lynx. We’ll also see these teams work to conserve and protect animals and their habitats and work to control invasive species that are threatening the ecosystem, including Elodea, an aquatic plant species that threatens the Salmon population, and more.